A report by BC Ferries looking for efficiencies to the service has raised questions about the service between Horseshoe Bay and Nanaimo, suggesting that the route may become a passenger-only service or be re-routed entirely through Tsawwassen. A report by BC Ferries looking for efficiencies has raised questions about running ferry service between Horseshoe Bay and Nanaimo, suggesting that the route may become a passenger-only service or be re-routed entirely through Tsawwassen. The report, which was submitted to the B.C. Ferries Commissioner at the end of September, outlines several options that could save the corporation money including consolidating the Horseshoe Bay-Nanaimo and Tsawwassen-Duke Point routes; consolidating just the Nanaimo and Duke Point terminals; using a passenger-only service for some trips; or shifting service to Vancouver Island from Horseshoe Bay to Tsawwassen, either in whole or in part. The report argues that because of the significant capital costs involved in maintaining the Horseshoe Bay terminal infrastructure and the likely service interruption it would pose, it may make sense to have at least some of the Nanaimo-bound traffic use the Tsawwassen terminal. BC Ferries is considering major changes to the routes between the Lower Mainland and Vancouver Island, according to a new report. 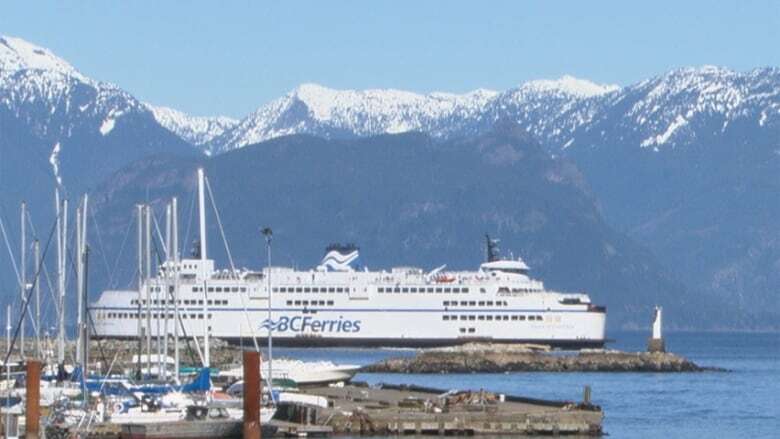 "It is contemplated that the Major Routes Strategy will challenge historically established notions of how BC Ferries' service is delivered to the mid-island corridor, and will require changes in customer behaviour," the report said. Transportation Minister Todd Stone said trying to maintain routes and service levels as they are could result in a $200 million expense to maintain the Horseshoe Bay terminal over the next ten years. "I can't envision a scenario where there would not be a ferry, passenger or vehicle service, from Nanaimo to Horseshoe Bay," he said. "But I think if we challenge the status quo of the type of vessel that goes in there, that could have the effect of reducing the capital upgrades that are required." Stone said smaller ferries to Horseshoe Bay could be the answer, given that much of the traffic, and trucks in particular, now goes to Nanaimo via Tsawwassen because of the new South Fraser Perimeter Road. BC Ferries: "Strategies for enhanced efficiency in performance term four and beyond"